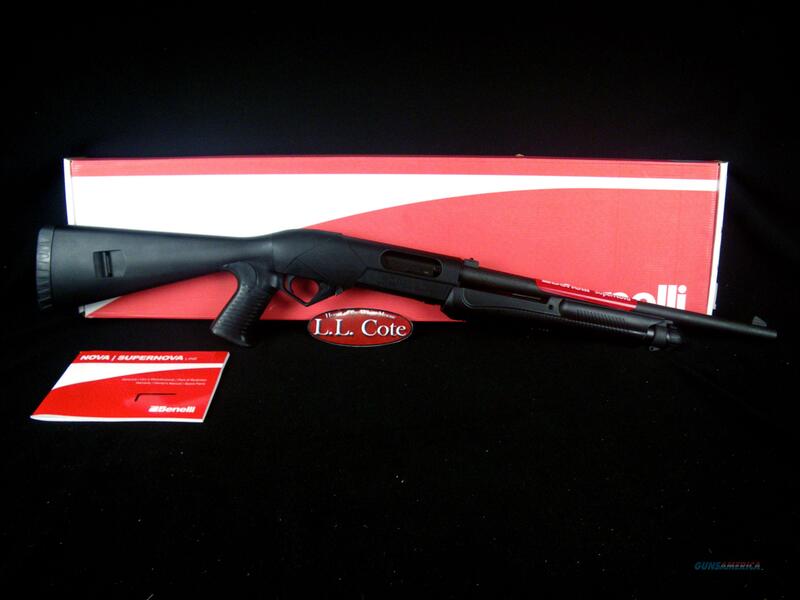 Description: You are bidding on a Benelli SuperNova Tactical in 12ga with an 18" barrel and 3.5” chamber. The SuperNova Tactical pump shotgun has all the features you want in a defense gun, providing complete confidence and peace of mind. Pump-action reliability. Ghost-ring or open-rifle sights. ComforTech® recoil reduction system or pistol-grip stock. Steel skeletal framework over-molded with high-tech polymer. Forend shell-stop button. Displayed images are stock photos. Any questions please feel free to ask (our phone number is in the additional information tab above).